Rackham came out from under serious financial problems in 2009 and began releasing AT-43 material again this year after a long dry spell. First out was the Red Blok Army Box that finally provided the long awaited Dotch Yaga (also available separately). The Therians finally got the Storm Arachn box. 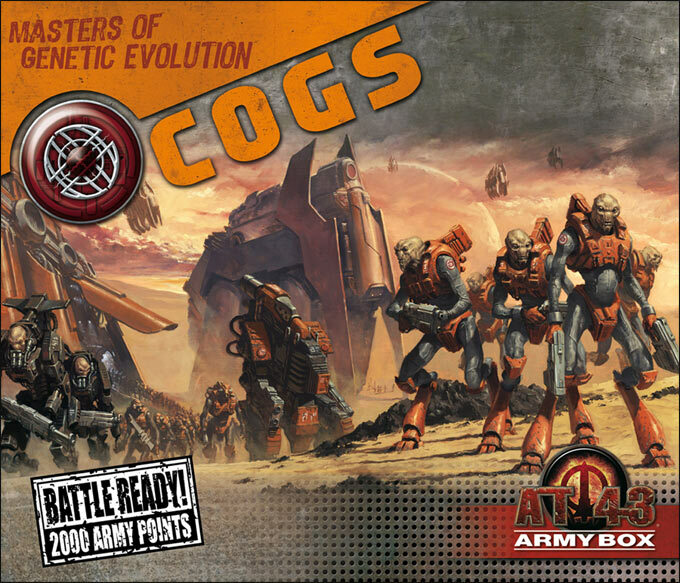 Then AT-43 fans got an all new race with the release of the Cogs Army Box along with the Cogs Army Book. Most recently another new faction was introduced with the release of the ONI Army Box and ONI Army Book. 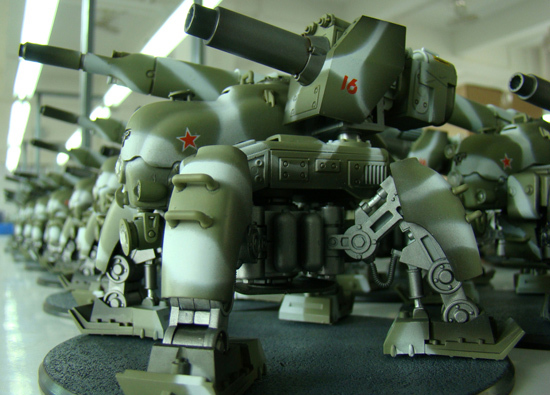 There is a French site, figouz.net, that has loads of pictures of the upcoming Cogs for AT-43. Also confirmed are at least two new army boxes for AT-43 to be released mid-year. One box is for the Cogs and the other for Red Blok. Both boxes contain everything you need to play 2,000 point games. Rackham now has videos showing the contents of the two army boxes. Note: These army boxes are now shipping. Rackham released some new AT-43 images in Cry Havoc Online #2. First up is the new Cog Prowler. This is probably the Cog’s version of a size three Strider. 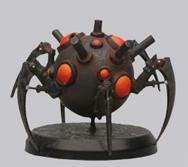 There are a couple funny photos of a mass of the new Therian Storm arachn. The Storm arachn appears in Operation Frostbite. Lastly are two great photos of the upcoming Red Blok Dotch Yaga. 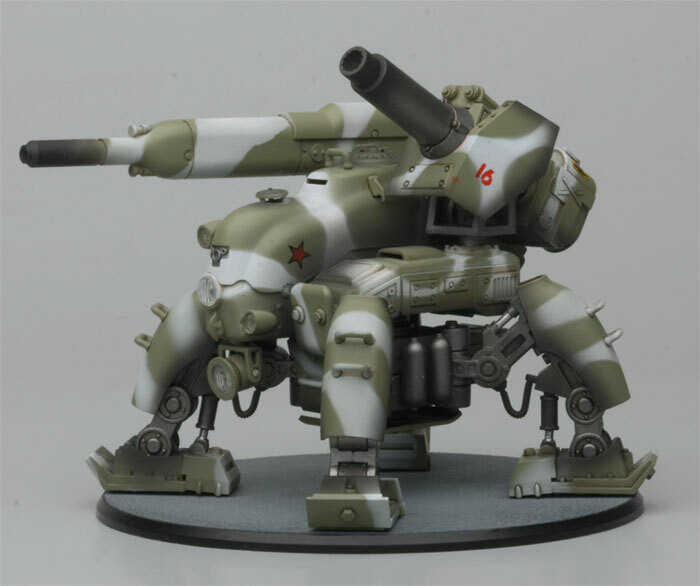 It is good to finally see some new stuff coming out for AT-43 again. Rackham later released an even better photo of the Dotch Yaga. Rackham released a new AT-43 scenario, Traffic Jam. It uses two of the game maps and has some interesting weather effects. This entry was posted in AT-43, Sci-Fi. Rackham, in Cry Havoc Online #111, provided three pages from the upcoming Cog Army Book. The pages show the platoon patterns, heroes, and company equipment. The Rackham website also has another four-page excerpt that covers the A-Volution troops. Those are the big size three Cog troops in exosuits. 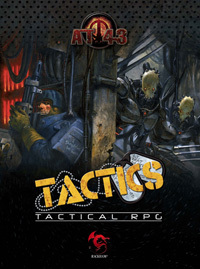 This entry was posted in AT-43, Miniature Wargames, Reviews, Sci-Fi. 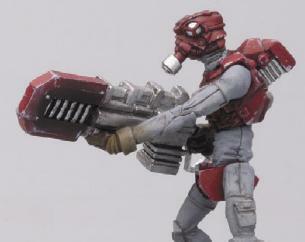 Rackham gave us another look at the upcoming Cogs for AT-43. Cry Havoc Issue 109 has a full page of fully painted Cogs. Featured are the Sharpshooters and the Gunslingers.